By now it’s likely that almost everyone with even a passing interest in role-playing games (RPGs for short) knows about Cyberpunk 2077, the upcoming video game by renowned Polish studio CD Projekt Red. CD Projekt recently released an E3 trailer, giving us an idea of what to expect from Cyberpunk 2077, which does not yet have a release date. At least this trailer contains a hidden message (which was translated by gaming website Polygon), disproving the recent rumour that the game will be featuring microtransactions (“In a single player role-playing game? Are you nuts?” says CD Projekt in the hidden message). Much to the dismay of fans though, CD Projekt also failed to reveal a release date simply stating that the game will be released “when it’s ready”, something which at least guarantees Cyberpunk 2077 will have a measure of quality when it ships sometime in the future. Also interesting is the fact that players won’t be taking control of a set character in Cyberpunk 2077, but will be able to choose the protagonist’s gender too. This will likely be a breath of fresh air for those who couldn’t get into CD Projekt’s earlier game The Witcher 3: Wild Hunt due to not being able to identify with protagonist Geralt of Rivia. Mind you, Geralt was a great character in the 2015 game, but perhaps his macho attitude and overall demeanour made him hard to connect with for some. 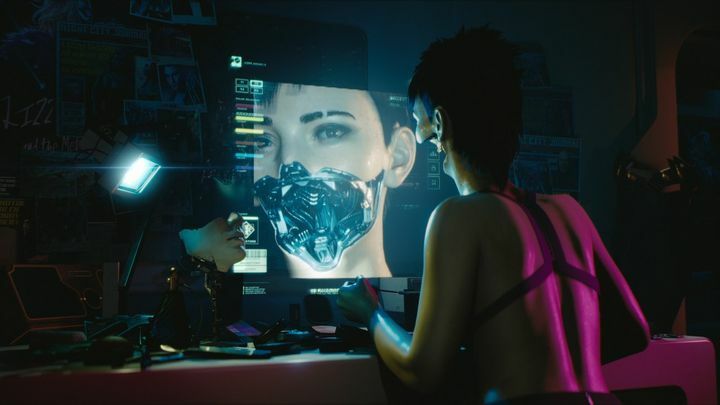 It’s a good thing then, that those who wish to will be able to play as a female character in Cyberpunk 2077, and as is usual these days you’ll also be able to alter your character’s appearance (face shape and hair for instance), plus most certainly you’ll get to choose clothing and any tattoos for your character as well. Hopefully then, Cyberpunk 2077 will turn out to be another grand RPG like The Witcher games when it’s released in the future. After all, few developers know how make this kind of game better than CD Projekt does, so it’s clear many RPG fans will be waiting for Cyberpunk 2077 with bated breath for sure.